Toss to a prosperous year at St Regis Kuala Lumpur. The Lunar New Year is an opportunity to gather, but when faced with the prospect of cooking for a huge crowd, prepping and cleaning up afterwards can be tiring. Here are some outstanding Chinese restaurants in the city that will take the stress out of your reunion dinner. 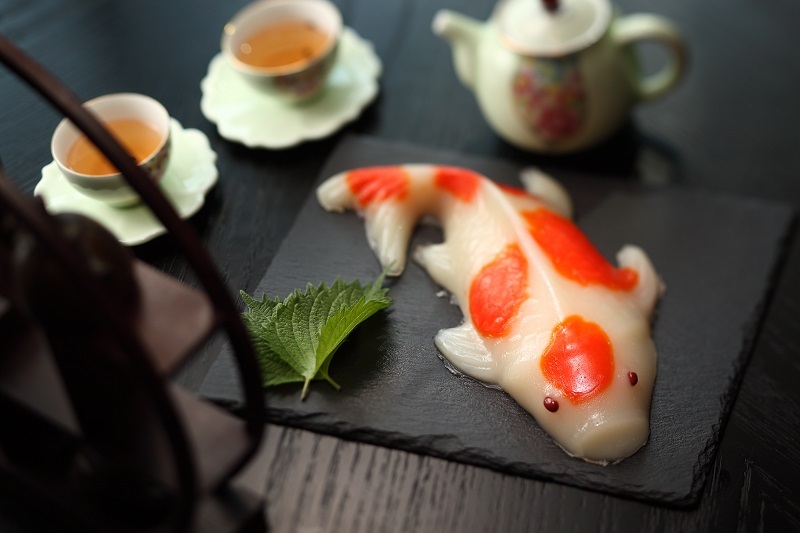 Executive Chinese chef Jimmy Wong from Yun House has crafted a special Chinese New Year set menu as well as a fish-shaped nian gao (pictured), perfect to be given away as gifts. The yee sang selection is nothing short of opulent, offering varieties like Australian lobster, “Two Head” abalone, toro and salmon belly. There’s a vegetarian option too for those partial to something less meaty. To avoid small talks with your relatives, tear your eyes from your plate and take in the restaurant’s lavish décor instead. Jalan Ampang, KL city centre. Set menu starts from RM388-688 per person. Until Feb 19. 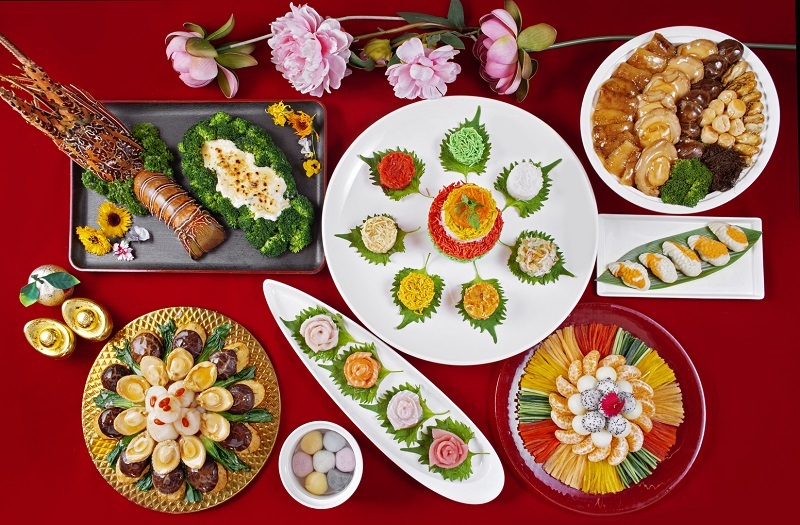 Chinese New Year Prosperity Buffet at Curate, lunch, adult, RM157; child, RM78.50. Jan 19-Feb 19, dinner, adult, RM198; child, RM99. For reservations, contact 03 2382 8650 or see here. Filling the buffet spread at Latest Recipe are traditional favourites such as roasted five-spice duck with spicy sauce, wok-fried prawns with butter cream sauce, oven-baked roasted spring chicken with Mongolian sauce, braised black moss and sea cucumber with broccoli and dim sum. 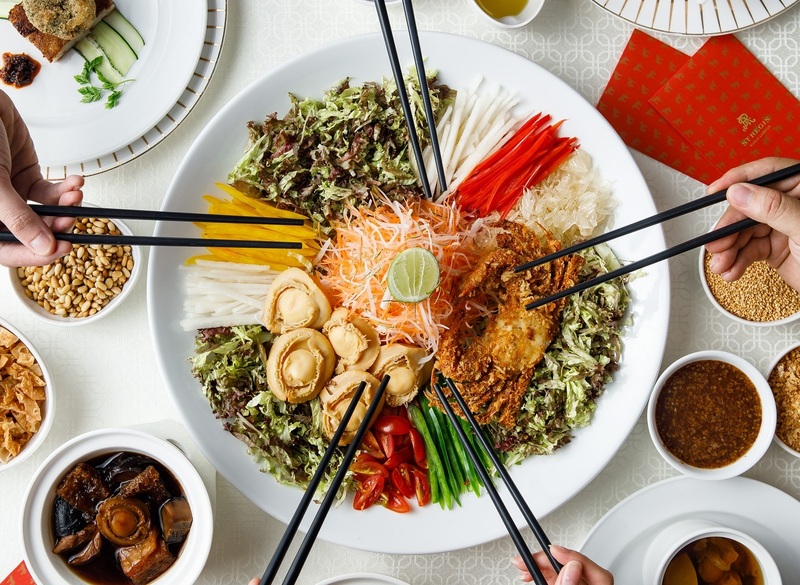 Their yee sang choices, however, are far from customary — choose from sliced clams, abalone, sliced tuna, salmon or jelly fish. Those dining on the first day of Chinese New Year (Feb 5) will be treated to an acrobatic lion dance performance by award-winning Kwong Ngai Lion Dance Troupe. 2 Jalan Stesen Sentral, KL. Jan 26-Feb 19 (except Feb 14). Buffet dinner: (Mon-Thur) adult, RM153; child, RM76.50; (Fri-Sun) adult, RM165; child, RM82.50. Chinese New Year's Eve, adult, RM198; child, RM99. Yee sang: Sliced clam or abalone, RM320; sliced tuna, RM230; salmon, RM230; jelly fish, RM200. For reservations, email [email protected] or call 03 2263 7434. For more info, see here. 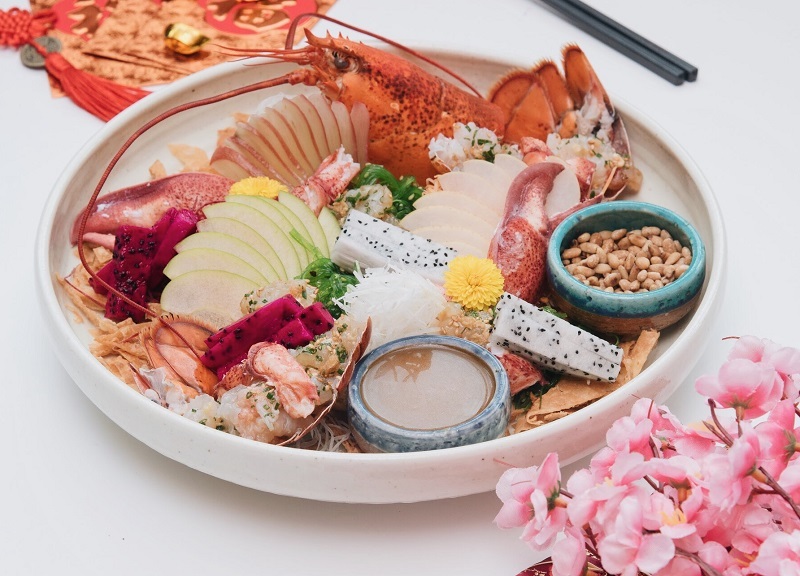 Executive chef Philip Leong dishes up a prosperity platter, fittingly called “HARHARHAR”, which translates as lobsters or prawns in Cantonese. Priced at RM188++ for two, the dish includes salmon, white fish sashimi, jicama, carrots, beetroot, dragonfruit, rose apple and seaweed salad. A premium version served with a whole lobster is selling at RM288++. After tossing to good fortune, indulge in a comforting hot dish, the Steamed Plaice with Iwashi Dashi, and end with the God of Wealth dessert, a white chocolate mousse with pineapple yuzu curd, pineapple filling and cheese sable cookies. Petronas Tower 3, Persiaran KLCC. Jan 20-Feb 25. For reservations, call 03 2164 5084 or click here. One thing’s for sure — the buffet spread at The Resort Café, which includes dishes like deep fried barramundi belly, Chinese herbs braised lamb loin, yam abacus seed and herbal chicken drumstick, will be extensive. But what’s more impressive is the elaborate dessert counter. 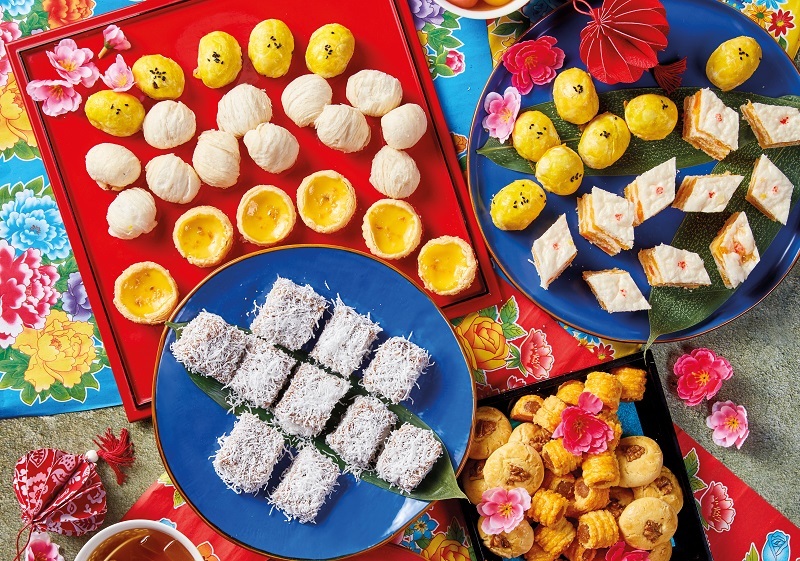 Expect “tang yuen” with ginger soup, fried and steamed nian gao, pineapple tarts, peanut butter cookies and a host of Nyonya kuih. 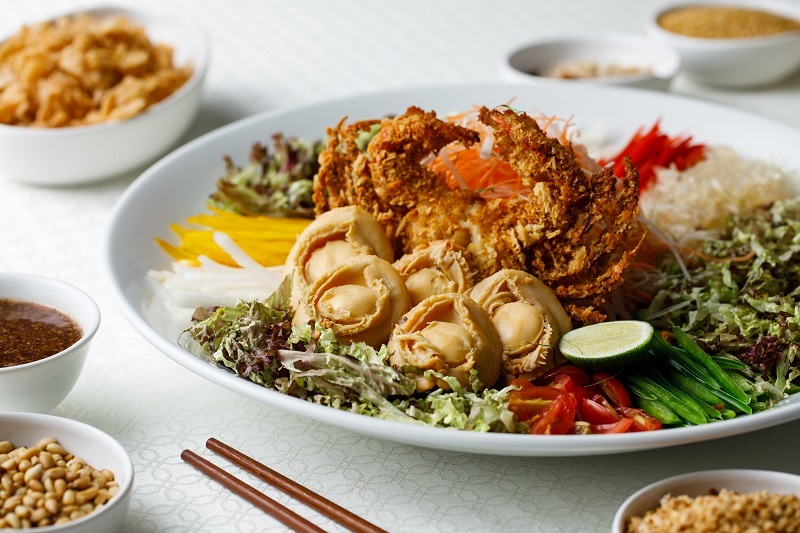 Fans of yee sang can look forward to special toppings such as Alaska scallop, soft shell crab, salmon and snow pear — all served with either plum sauce, wasabi sauce, avocado plum sauce or a tangy rojak plum sauce. Persiaran Lagoon, Bandar Sunway. Prosperity buffet dinner, Jan 21-Feb 33, 6.30-10.30pm. Adult, RM138; child, RM78; senior citizen, RM98. Call 03 7495 2009 or email [email protected]. See more here. To escape the buffet lines, opt for a sit-down meal instead. 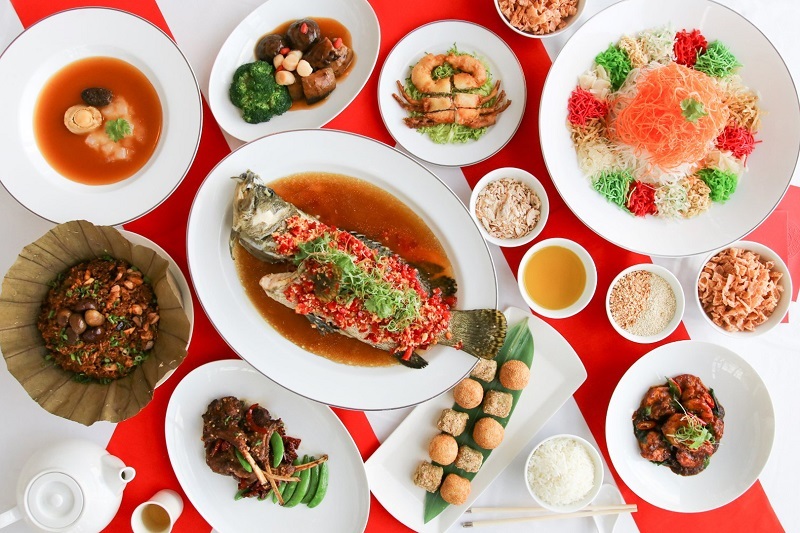 The Chinese New Year eve set menu at Grand Imperial Group has got you and your party covered. 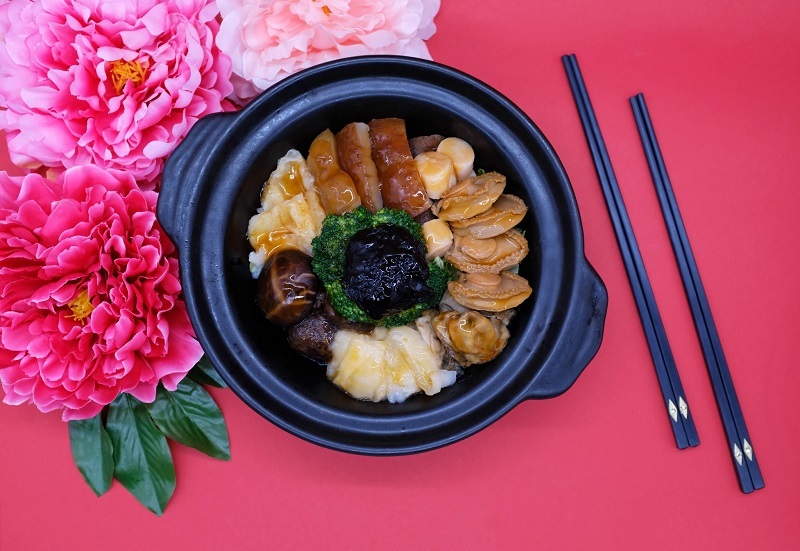 The four-person set menu trots out premium offerings like Spanish iberico spare ribs, steamed pomfret, dried oyster braised with homemade beancurd and white fungus double boiled with pear and sea coconut. 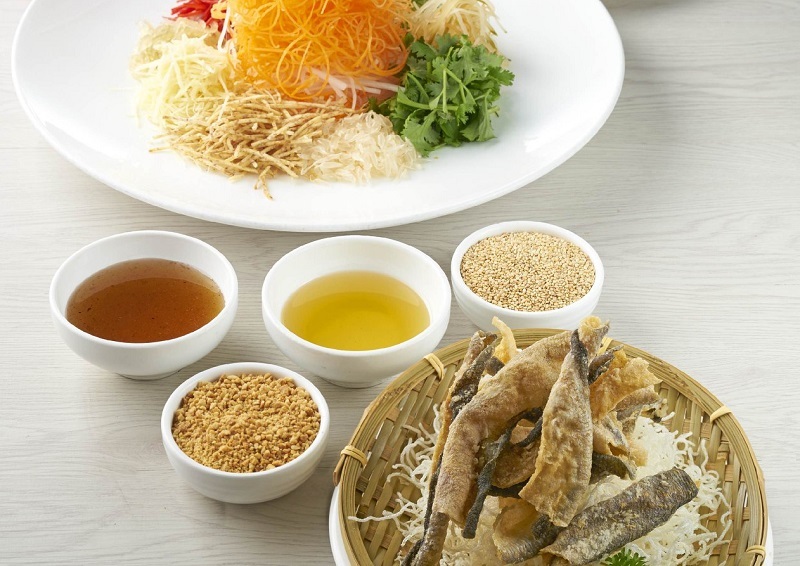 A “lou hei” with deep fried silver bait fish yee sang ensures a prosperous and smooth year ahead. Check out its six-person menu too, if you’re into crispy suckling pig and braised abalone. Outlets include Bangsar Shopping Centre, Hartamas Shopping Centre, Pinnacle Annexe Bandar Sunway, 1 Utama Shopping Centre and Sunway Velocity Mall. RM698+ for four people; RM828++ for six. See here for more options. If you want to max out your cards, MOKL’s Lai Po Heen is the place to splurge. For a minimum of two diners, its Wealth Set Menu (priced at RM518 per person) includes yee sang with soft shell crab and snow pear, doubled-boiled chicken soup with wild Matsutake mushroom, roasted duck roll, wok-fried half lobster with wasabi soya sauce, slow-cooked “six head” abalone with fish maw and sea cucumber, glutinous rice with Chinese waxed meat, and double-boiled sweetened ginger tea with black sesame glutinous rice dumplings. Wash them all down with a rejuvenating ginseng oolong tea. Kuala Lumpur City Centre. Available for lunch and dinner. Until Feb 28. Call 03 2179 8885 or email [email protected] to book. Check here for more. The space at St Regis KL’s Brasserie is among the city’s most grand, and the same refinement can be found in its food as well. Chef de cuisine Cheong Boon Fei showcases a set menu that features treasured family recipes such as handmade vegetarian dumplings, doubled-boiled abalone soup with black garlic, chicken and mushroom, stir-fried prawn with golden seaweed crumb and pan-seared dried shrimp radish cake. You can also reserve a private space at The Astor Room for a minimum of four and up to 50 people. 6 Jalan Stesen Sentral 2, KL. Set menus start from RM298+ per person with vegetarian yee sang. Available for lunch and dinner. For reservations, call 03 2727 6696 or email [email protected]. See more here. 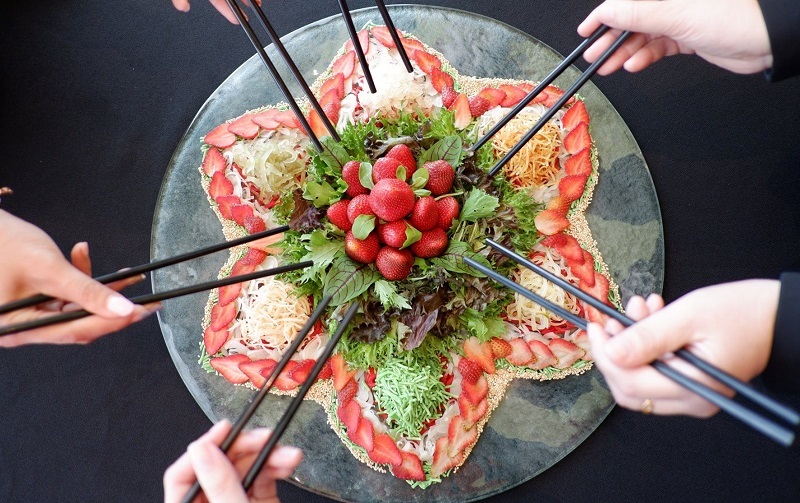 Strawberries are given top-billing this Chinese New Year at Chynna, giving a fruity and healthy twist to your regular yee sang. The key to this bustling restaurant is freshness and variety, which leads to an array of Chinese New Year staples to choose from. Customise your dishes or pick from any of the sets, starting from RM288 per person. 3 Jalan Stesen Sentral. Until Feb 24. Call 03 2264 2264 or click here to make reservations. Dining with a view doesn’t get any better than this. THIRTY8, located on the — you guessed it — 38th floor of the hotel with a wraparound view of the city skyline, has prepared an auspicious eight-course meal that includes yee sang (choose either salmon or soft shell crab), steamed grouper in sze chuan style, braised bird nest broth with abalone and morel mushroom, wok-fried prawn with lemongrass and spicy sauce, braised sea cucumber and more. The sharing menu is only available with a minimum order of six. 12 Jalan Pinang, KL. Available for lunch and dinner, Feb 1-19. RM338 or RM438 per person. To make reservations, call 03 2182 1234 or see here.